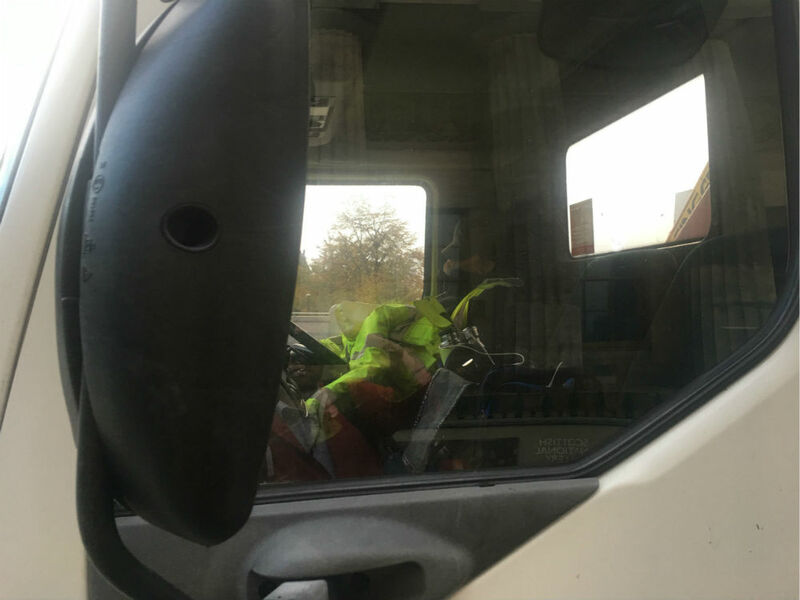 A COUNCIL worker is being investigated after he was caught enjoying a snooze behind the wheel of a lorry park in a pedestrianised area. The images were taken at 8am on Friday in Edinburgh – a time when most residents are wide awake and going about their business. The shocked pedestrian’s pictures show the Edinburgh Council lorry full of litter bins. Inside the cab, the on-duty worker is seen fast asleep and with a cap tiled over his face. He appears to have pulled an extra high-vis jacket across himself to make sure he stays snug. The photographer, who did not want to be named, said: “Looking at the photos it looks like this man may have been sleeping for some time, his cap is tilted and a yellow jacket is being used as a cover – clearly unaware of what’s going on around him. 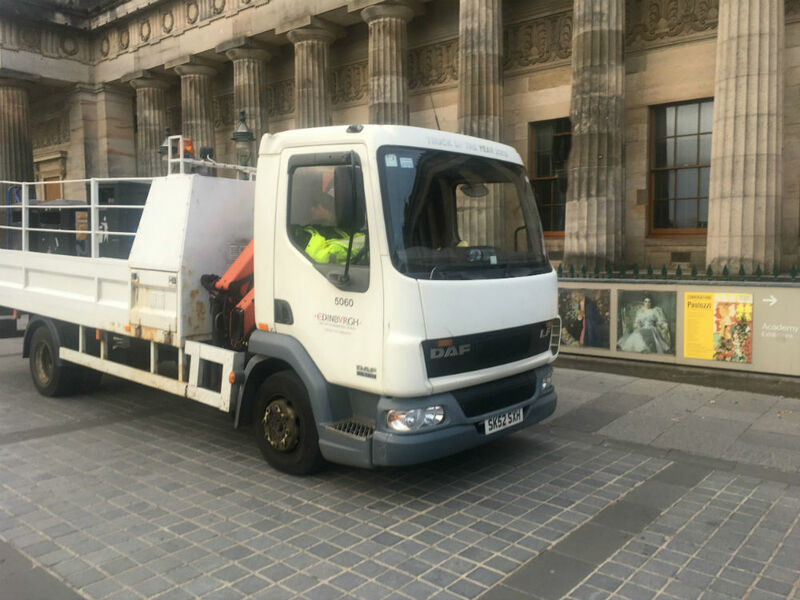 The council worker was parked in the pedestrianised area just off Princes Street and outside the Scottish National Gallery. Edinburgh Council initially responded to the photographs by explaining the man was waiting for a colleague to arrive to help him with a job.